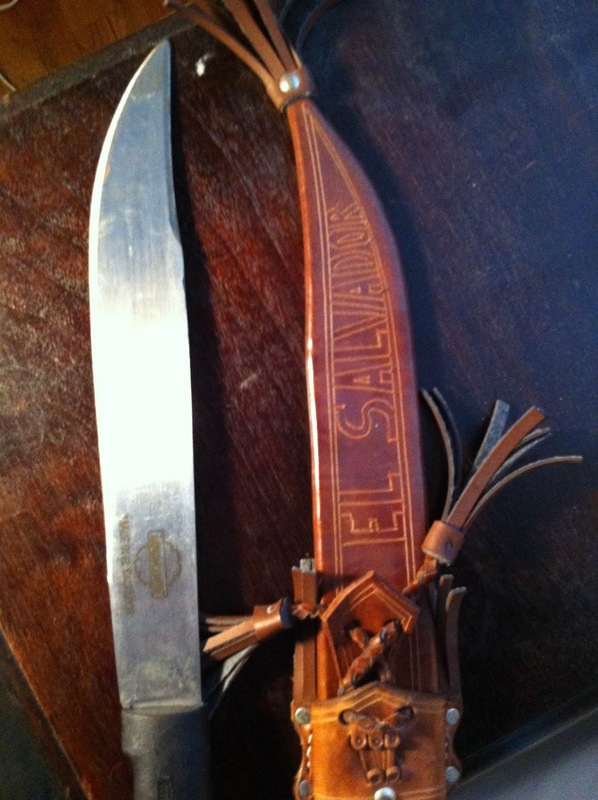 Machete - El Salvador. I traveled down to El Salvador with some friends near La Libertad. 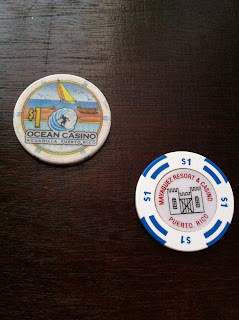 Caught some great waves off a right hand point break and had a great time. One afternoon we decided to grab the bus to the market and check out the local scene. The bus being one of the school buses that acts as the do-everything buses for the area. After figuring out which bus number we needed to catch, we hopped aboard a crammed bus. Fisherman taking their catch to market, mothers headed to town to shop for the week, a few other surfers looking for other breaks and us. And school buses in El Salvador apparently are built to drive a lot faster than any school bus I was ever on in the U.S. We made it to the market - yeah we stuck out - but what a scene it was. 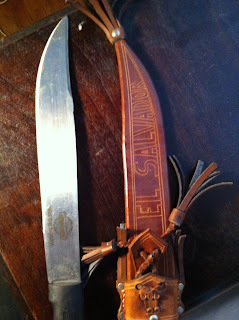 You could buy anything you could think of, and one of the popular wares being sold was machetes. They had all kinds - black leather cases, brown leather cases, big, small, rambo style. I grabbed this medium sized machete and one for my brother and with our checked board bag, had no trouble getting it home. Reef Scars - Puerto Rico. Definitely my cheapest souvenir are the scrapes I got on one of my recent trips to Puerto Rico...free for anyone interested. We were out at Jobos that day, a break I've surfed a number of times. You can see the reef below you there but that is pretty typical for any reef break, which is a good number of the breaks in PR. I guess I was sitting inside at the time and the tide was pretty low, neither of which of I was thinking about, when I caught an inside wave. Nothing big, probably only shoulder high max, and to eject I just sort of hopped off my board, ahead of the wave. The wave broke and got a hold of me and sort of took me over the falls, picked me up and pushed me underwater with my back down, and my back rolled right over the reef. Surfaced and (once again) didn't think twice about what had happened. Took one more wave in and met up with my friends who were sitting on shore when one of them noticed that I was bleeding. Don't worry, chicks dig scars.